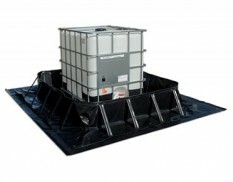 They are are lightweight, and easy to store and transport – choose from a range of standard sizes or have a size custom made for your application. 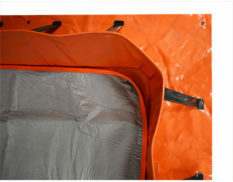 Our collapsible bunds are made in Australia for Australian conditions. 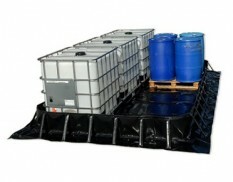 Heavy-duty collapsible bunds are manufactured from 1350gsm PVC. 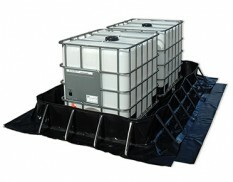 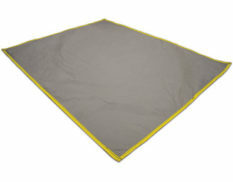 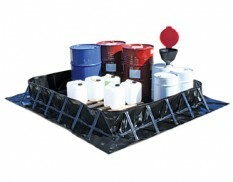 Contain up to 3360L of spilled liquid within this 4m x 2.4m heavy duty collapsible bund.